Black counter clerk sees us and remarks sotto voce, 'Looks who's back,' and then: 'With his bodyguard' -- a reference to Jaenelle. Must have been reading last November's Radical's Diary. I WORK all morning in the Warsaw hotel room, and buy an hour's Internet for five pounds. I begin sending reminders about Saturday to my London list. I inform Jaenelle Antas and K.: "I have thought it over and have brought forward the next Wolf's Lair tour to 2011." 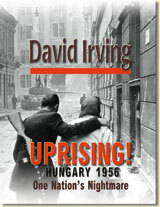 DAVID IRVING is a strange and fascinating man. Unlike his followers, he's actually a bright guy and that's what makes his views all the more appalling. But the Left's constant efforts to stop him from speaking (really, you know these people have no sense of irony when they can't see the inherent contradiction in their favourite phrase 'no free speech for fascists') have merely served to give succour to his argument that society and the media is controlled by Jews. And his latest scam is a charmer -- he's giving guided tours of Auschwitz and Treblinka for a grand and a half a pop, where members of his tour will hear how Hitler was a "great European" if a little over-zealous in his duties, and how the Gestapo was "a great police force", a claim that will send shivers down the spine of millions of relatives of those who encountered that group. Irving claims that Auschwitz and Treblinka have been turned into tourist attractions and says there is "a Disney-like atmosphere" in Auschwitz. I check out at midday. A young man in Intercontinental hotel livery comes up to me and chats enthusiastically for half an hour about my books, which he has spotted in the baggage check room. The hotel security officer had confirmed to him that I am living here. Some "security"! Says he bought my Goebbels in Polish at five times its real price in an auction, etc. I SPEND the morning in the very, very, very cramped English hotel room tidying up. Jessica texts: "What time are you coming in to the West End? Trying to work out whether to go home first or stay at school." Supper with her at Prezzo's; a very pleasant chat about sealing-wax and string. 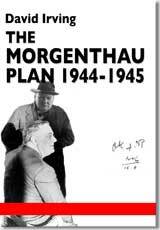 Jaenelle reports from Indianapolis: "We have only three copies left of Morgenthau. Can we order more, to see us through the holiday season? It is a top seller." I grouch to her at eleven p.m: "I don't understand why my jaw is going lopsided over the years. Shifting teeth?" She responds loyally: "You've always looked that way to me." I REPLY to the above: "No I have always been square-jawed, rockfisted, honest, upright, decent and true: like every other man you've known. Incidentally, I think I have done that [Polish] journalist an injustice; I do now remember signing a book for 'Piotr,' but I assumed he had paid you for it." Jaenelle wakes up, far away across the ocean, and texts me at two p.m "Oh, you were fishing. Sorry, I didn't catch that at first. :-p" -- Damn! England's loss is the USA's gain, as I shall spend the next months on your side of the Atlantic before moving into another house near Windsor, writing and researching. In fact I pass through Atlanta on the evening of Sunday October 10 driving from Tennessee down to my base in Key West, FL., and I would like to invite you and your friends to a dinner there, and I shall also talk a bit. 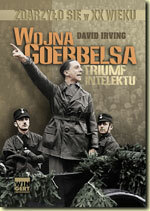 The topic is: "Hitler's People: The men and women closest to him and the secrets they told me." Can you now finally guarantee delivery within the time window we specified, if we pay your exorbitant and ridiculous storage charges immediately. We strongly object to having our shipment held hostage like this. I note that it has taken you three days even to respond to my email from Warsaw. In Britain storage of one pallet costs fifteen pounds or $25 per month. In the USA even less. 2. I shall be drawing attention to your company's performance on my website. 3. When did you first notify us of the exorbitant storage charges? This is an important factor in any action we shall subsequently take. Your firm appears to show as little interest in customer goodwill as in speed and efficiency. We have received no invoices for storage and cannot judge what we are paying for. And I inform Jaenelle, to whom the pallets are destined: "The pallet girl is taking it up with her Director this afternoon, having not answered me for two days. Very helpful." We use a third party warehouse so we have to invoice you what they charge us otherwise we make a loss. We did advise on several occasions that storage charges would be incurred if payment of the freight charges was not made prior to arrival of the shipment in the USA. We did not detail how much the storage charges would be because you assured us that you would pay before the shipment arrived. We did not advise you when the shipment had cleared customs as you did not ask. We shall certainly not be using these shippers, OHL Ltd., again. I inform them: "I intend to take due action to recover the storage costs. Whether it is your company or your US agents is immaterial in such a case." Jaenelle ponders on which book we should next prepare for our Classic series: "I do think your best bet for a next book would be to put a German-only title into English." True, there are several books I have written in German. "Um, you mean translate it into English?" "Yes, translate it. It would be a lot of work, no doubt, but it would sell well because nobody will have it in English. It will be like a brand new title for most people." 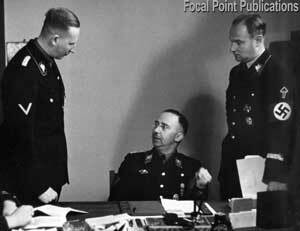 I muse: "Three or four possibilities there, even a new Hitler's War in German. But that should really be an offset-litho book." 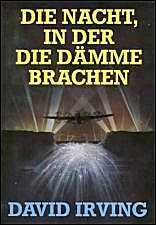 She persists: "Well, you could always do Rise and Fall of the Luftwaffe, Breach of Security, or The Gehlen Memoirs, but I think none of those would sell so well as a 'new' book translated from German." 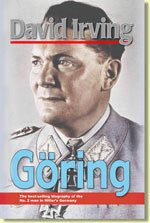 After due reflection I reply at ten p.m: "I will not ever do The Gehlen Memoirs in a Classic edition. Not proud of that book." "How come?" "I'll tell you the story when we meet. Remind me. We have the London meeting tomorrow afternoon, shaping up well. You should get the Uprising proof in the next day or two." And so . . . to bed, after a very long day again. AT TWO pm I leave Eton for London, and reach the West End pub at three-thirty; heavy traffic, worsening rain, and I choose the wrong routes. K. arrives soon after and we load the books upstairs. Thirty people fill the little room, though few hold to our stated starting time of four p.m. M. and her five friends actually come half an hour into my talk, totally disrupting it with barely an apology, and proceed to wander round the tightly packed room looking for a socket and setting up Peter's video camera etc. . . The talk goes down well, we have an extended discussion until seven p.m.
Dinner with Jessica at eight p.m., and I set out back to Eton after that, running almost at once into standstill traffic jams down Cromwell Road; I turn back and divert up to Kensington High Street, which is even worse, crawl along Chiswick High Road past the school, lose my way in the blinding rain and darkness, stumble through Brentford and Hounslow and Heston along roads I have never traveled before, and get back to the [hotel] at 11:30 p.m., exhausted and . . . displeased. Bed almost immediately in my garret. First the emails: I write to Jaenelle: "B. has signed the school forms. Now I shall also. Crisis there over. Bente gave me a box of chocolates which I have scoffed in its entirety on the road home: it took three and a half hours from the West End to Eton, because of jams -- worse than Hamburg, almost." One of our Wolf's Lair guests has written a less than flattering email to me: [. . .] Anthony, our archeologist guest, however writes: "I have had a terrific time in Poland and have gained a firsthand experience of your struggle against the usual suspects. I plan to attend one of your tours again in the future. I do hope you are able to find a new home soon and that you have a pleasant and successful time in the USA." The feedback messages from all the others are very positive. Okay, I have read it through, and admire the work and thought you have put into it. It is a complex subject and the numbers which are often confusing for others are put well into context. I have however one request. When you mention my name, can you make plain that this should not be taken as an indication that I endorse your views? I still have to travel in Europe, and the enemy will seize on, and distort, whatever they can to bring me down. I have a couple of questions about Norman Shelley who you talked about and which I found so interesting that I looked around for other information. Are your critics' comments . . . just errors to be corrected in future editions or are they wrong? I reply at 1:08 a.m : "I will check the discrepancies to the best of my abilities (all my archives are in storage until the end of December). I have not seen any criticism of these before. I very definitely did interview and correspond with Norman Shelley. The book "Churchill's War", vol. i: "Struggle for Power" was published by an Australian publisher and contains over 490 typos! That was in the days before spell-checkers." I have phoned Duncan Mckenzie a few times these last few days to try to arrange an informal view of the cottage, but only reach his voicemail. I fly to Denver, Colorado, tomorrow for a few weeks, lecturing at their University and writing, and shall return to the UK on December 23. . . I can view it then but I am sure it is just what I need. I drive past it every day. She replies: "I will need you to make your mind up I am afraid before then as unless you give me confirmation you want it". . . etc. I phone Duncan and arrange an eleven a.m. viewing tomorrow therefore. Then I unload half the remaining contents of the Pigmobile into the space left at the warehouse, and drive to London, picking up Jessica at six p.m. from her school. A very civilised supper with her ... She is growing up, and sad that I am leaving, and says "I love you" three times as we part. THIS afternoon I fly to Denver. At ten a.m. Duncan McKenzie calls about the cottage viewing, postponing it indefinitely, explaining that he has an uncooperative child in the house. This is rather inconvenient, to say the least, and I write to the owner: "I would hate to lose the chance of renting this delightful property because of this totally unexpected development." 10:45 a.m. Alas, she replies tersely: "[He] cancelled the appointment at my request. . . The cottage is not now available for renting to you." The flight lasts eleven hours, but it is only early evening when I land in Colorado. I rent a car and arrive at the hotel there at nine p.m., which is four a.m. UK time. Jaenelle has sent me a link about Interpol's voice-recognition software: "Isn't this what they used to find your prison friend that escaped?" Yes it was, in Slovenia. I reply: "What a fantastic memory you have for everything I tell you. I have to watch that." DURING the night I realise that in the fuss caused by the Cottage disappointment I have omitted to pack the eight-pound orange ring-binder with the Himmler manuscript which I wrote in handwriting in solitary confinement in the Vienna prison, using the contraband ink provided by the padre and then by prison guards. I left it in the Pigmobile. Hope the vehicle isn't stolen again. This is going to be my main task in Key West this autumn. Not sure how we can reunite the manuscript with me. Safest option will be FedEx, I think. Their office is at the little airport. Jessica is puzzled: "Wait -- why are you in Denver, not Florida?!" I explain: "Speaking at the University this morning and again tomorrow midday, to two classes of fifty to sixty students. Then I fly to Nashville, Tennessee, where Jaenelle comes aboard; we speak in Atlanta, Clearwater, and then Key West." I have rented a Ford Expedition, one of the best cars ever made in my view, and drive at leisurely pace over to the university at nine a.m. and at ten I go in to talk to the students on Himmler, Hitler, the Bomb Plot, and the Holocaust; all very orthodox, and I warn them at the end not just to trust what I say, but to think for themselves. It is enthusiastically received, though the best-looking girl in the class, a shapely brunette, asks a sceptical question at the end, and stalks out with her nose in the air. At least they listened. After a brief break we go to another class where Professor C. asks me to talk for ten minutes to the students on free speech and its opponents in the New Europe. What I say about my friends imprisoned in Germany and Austria for expressing illegal thoughts attracts gasps, and there is a sprinkling of applause at the end begun by a Black girl student. I leave the campus around midday, pause for a late breakfast at the Denver Diner, and am back at the hotel by two; where I crash out for four hours spreadeagled on the bed. No point in adjusting too closely to Denver time. 10:32 p.m to Jaenelle: "I see on Google there is a video item, purporting to be uploaded by me. It is not. The title is highly damaging and in my view libellous. Can you do something about getting it removed please? I have never uploaded a video in my life." I go to bed around eleven p.m., reeling from jet-lag and fatigue. JUTTA has sent the rest of the Karl Wolff transcript. "Sorry it took a little while but it was in parts not very audible for transcription." It is Wolff's 1971 private hour-long description, visiting SS Standartenführer Walter Rauff in Chile in 1971, of what really happened in Hitler's Munich apartment on the Night of Broken Glass, November 1938 -- and again it supports my version, and refutes "Skunky" Evans's in the High Court. So much for "expert witnesses". Jaenelle reports: "It appears to be very difficult to get videos removed on Google. But I'm sure somewhere they must have a way to deal with copyright complaints or something." 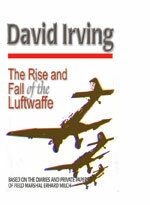 Please work at it; the suggestion that 'David Irving' posted it with that title is very offensive and libellous. Make a screen shot and send it to their lawyers. It must be the work of some malicious enemy. Keep a file record of all your correspondence on this matter please. . . Tell Google's lawyers that that image and text alone are enough to get me arrested in 13 European countries. Breakfast until 7:55 a.m. Jaenelle has emailed: "Does this actually infringe on your copyright at all?" "Depends who made the video. I did not. . . On that video again, the untrue suggestion that I uploaded that title The Holocaust Lie exposes me seriously to imprisonment and extradition." "Understood, and I am working on it. Google has no online submission for complaints. It has to be done in writing through the post. Annoying." People like my idea of announcing our September 1, 2011 tour under the slogan: "Let's invade Poland again." Lew Regenstein is irritated by my front page: "I am happy to see that I contributed two of the new items on your site today . . . " [but, etc.] I respond: "Aha! I get your point, but if I am going to be termed an anti-Semite around the world, I may as well enjoy the fruits? 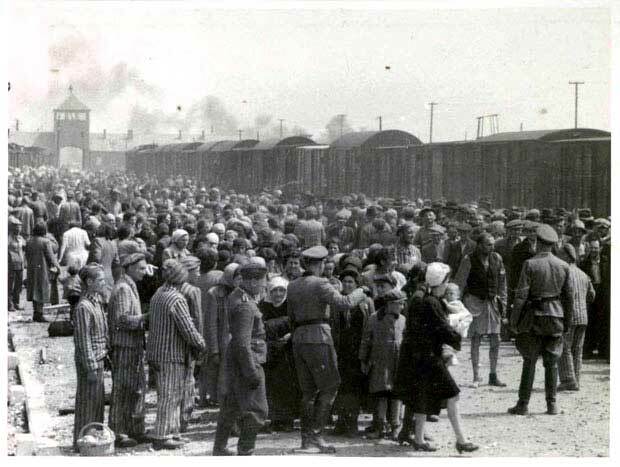 The [Auschwitz photo] album is truly harrowing in parts, and I wonder why it is so incomplete? Does not even hint at what happened next. Note the total absence of watch-towers along the railroad] tracks, which are however there today for tourists to gawp at. Postwar constructions, hence my Disneyland comment." I leave at eleven-thirty a.m. for the university . . . and start speaking at one p.m. to around sixty students. Finish around two-thirty p.m.; several students have brought books of their own for me to sign, including a first edition Göring. Quick snack at the Denver Diner, then back to the hotel; snooze for an hour, then work on The Virus House picture section some more. TODAY I fly to Nashville, Tennessee, God willing, and Jaenelle joins me there by car. I found this morning that my razor blade was upside-down, which may have explained why I looked rough the last two days. Flight by Frontier airlines, a no-frills airline. Jaenelle sends a huffy emails, proving she's a typical woman ("I'm having difficulty thinking up one single good reason why I should even come at all at this point"). Tact is evidently not her forte, not her middle name as we say. I am so tired, I go to bed around nine p.m.
AT SIX-FIFTY a.m. there is a magnificent dawn spectacle as the golden sun rises above the flat horizon. For most of the day I am up in my room, completing work on The Virus House. I will upload the files to the printer tomorrow. 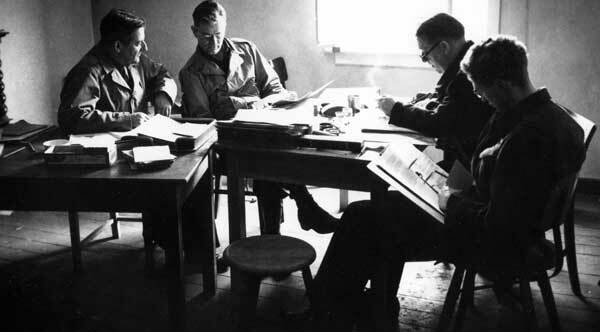 I find and complete a few names that we did not have in 1967; Rupert Cecil (right, above) one of R V Jones's assistants, died only in 2004. I wish I had known of him. I drift in and out of the talks here in Nashville. There is a survivor of the Israeli attack on the undefended USS Liberty, Phil Turney, who talks well and with feeling about the loss of so many crewmates in this war crime. Jaenelle arrives post-haste at 2:30 p.m., much earlier than I had expected . . . She is a magnet of male attention, and enjoys every moment. From four to five p.m. 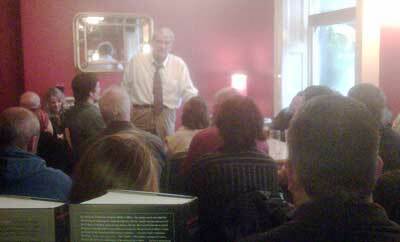 I talk to a capacity audience, standing room only on: "The Personal Saga of a Modern Historian. Blundering Across a Toxic Swamp Sown with Deadly Mines." I switch on the recorder but must have switched it off almost immediately. Hey ho. I bring in Gerd Heidemann and the Idi Amin medal, and the sinister men in tall, wide-brinmed black hats swarming impressively around Gateshead, with tassles dangling from their pants pockets. "Can anybody buy one of those hats? Or do certain restrictions apply?" "Are you one of us, Sir. . . Are you circumc--" "Circumspect? yes, I am always very careful whatever I do." Then I muse however: "Suppose I were a Jew, not all would be sunshine and light: I would have deposited my entire fortune with Bernie Madoff; I would have that CNN host Rick Chavez snapping at my heels, claiming quite wrongly that we Jews control the media, and I would have had to fire him instantly to prove we do not," and so on. General, if discreet, laughter. I recall too remarking to journalist Tom Segev as we strolled together out of the High Court during the Lipstadt Trial, that one day it might turn out I was Jewish; I enjoyed his evident discomfiture at the thought of all the rewriting that would have to be done. I forget to pay tribute to the late Joe Sobran, as I had intended; and to list other great names in history known to have read or liked my Hitler's War -- including William D Casey, General Noriega, and, according to the Washington Post on April 11, 2003 page 1, Tariq Aziz and Saddam Hussein. WE pack and drive off to Atlanta, a four-hour drive. Jaenelle drives the whole way, and a fine and safe driver she is too. A great meeting in the evening at the Atlanta restaurant again; their staff are very helpful. Jim Dean films the talk I give on "Hitler's People." Jaenelle does very well, and looks attractive in a black flouncy dress that Jessica has picked out for her, which draws the men and does not outrage the women guests. During the day while we halt for a meal, I think, Jaenelle mentions à propos of not very much what she has heard about B. . . and I instruct her to go no further. . . Poor B: I feel great sympathy for her, and always will. Which is quite right too. I told Jessica a month ago that when she is choosing a man for her lifetime companion, she should look for one like her father, someone who looks after her as I still look after B., with consideration and affection. Lucky will be the man who wins Jessica, I might add. JESSICA has replied: "Hiya! I received your texts but am unable to reply to America as it costs too much and no credit." I reply: "I will get some more cash to you and Mummy when I am in Florida; we set off from Atlanta in an hour's time, a nine-hour drive to Clearwater in central Florida, near Tampa. Then tomorrow down to Key West." We arrive -- with Jaenelle driving the whole way again -- at the Clearwater hotel at six p.m. The talk lasts from seven until 10 p.m., and then we have dinner at a Perkins with one of the male guests who has taken a shine to Jaenelle She tells him with a chuckle: "David is superstitious. He likes picking up pennies everywhere he sees them, and reciting, 'See a penny / pick it up. / All the day / you'll have good luck.' So I've taken to dropping a few pennies ahead, for him to find and pick up. It keeps him happy." I don't know whether she has made it up or not. She tells me she told Jessica this months ago in England, and demonstrated how it's done. I was sometimes finding half a dozen pennies a day. Not sure what effect this will have had on my luck in recent months. She is unsurprisingly popular with the men in every audience; she tells me that six men on this trip asked her if she is "available". That must be very flattering for her. Must keep her onside, though she can be, um, very trying. She texts me after eleven p.m., "Maybe we'll try to leave around ten tomorrow. I am so tired and would like to get a little extra sleep if possible." Poor girl, she drove nine hours today. We have decided to do a quick large-print edition of The Night the Dams Burst next, for children. UP at 7:15 a.m. Paperwork. Still dark, as dawn here in the far south is later than in Denver. The revisionist Wolfgang Fröhlich has just had more years added to his Austrian prison sentence, eleven years in total. I occasionally met him in the holding tank in the Vienna jailhouse back in 2005. I had the impression even then that he had become institutionalised -- that he regards prison as his real home. For an intelligent, educated man prison is a real danger. It warps the mind. I start work typesetting my book The Night the Dams Burst -- first serialised by The Sunday Express in London in 1973 -- as a small children's book. Jaenelle drives all day again, and we reach Albert's house in Key West's Old Town around eight-thirty, as I predicted. A few hundred yards from the Southernmost Point. We are on the fringe of the departing Hurricane Paula, and water is everywhere. UNFORTUNATELY the laptop has soaked up a small pool of rainwater, about a millimeter deep and the size of a postcard, and this has caused havoc with its innards and screen. I soak the latter in isopropyl alcohol -- which is now virtually unobtainable in High Street stores in England -- and let it dry out and in the evening it eventually saunters back into life. The screen has large patches inside it now, but I hope they will dry away. To the Post Office to retrieve all the mail. Mostly returned undeliverable mail. The Americans are a very mobile people. Black counter clerk sees us and remarks sotto voce, "Looks who's back," and then: "With his bodyguard" -- a reference to Jaenelle. Must have been reading last November's Radical's Diary. Supper with Jaenelle, then a movie: "The Social Network." Mark Zuckerberg is brilliantly portrayed: The egghead misfit and outcast who gets revenge by becoming an instant multi-billionaire, but not without losing the few real friends he ever had on the way. Lawrence Summers, the (Jewish) President of Harvard is also wonderfully depicted. I wonder what he would have thought if he knew how often I have spoken on his campus in recent years. Many years ago President Franklin D. Roosevelt told Henry Morgenthau Jr. how reprehensible it was that the Jewish intake at Harvard had already exceeded three percent, and that it had to be capped at five somehow; to which the Treasury Secretary nodded sagely. Now -- it is well over fifty, and not much less at Yale. All part of the "That's Why!" syndrome, I fear. IN the evening I stumble across the Scribd Internet website, run evidently by a Jew, Jared Friedman, based in San Francisco, and I find that unscrupulous people are stealing my eBooks off our website and uploading them to this site, which then sells them and pays them a royalty. Not pleased at all about this. Jaenelle carries on the investigation and reports more than 600 stolen items authored by me on the Scribd site, some of them having been downloaded 1,000 or 2,000 times. Jaenelle HAS put an item on Facebook about Scribd -- thank you, Mr Zuckerberg! -- and attracted several rude answers. "I thought Mr Irving wasn't in it for the money," etc. I am a professional historian and writer. These books have taken ten, fifteen and even thirty years to research and write. Despite that I made them freely available at fpp.co.uk/books, because there are students in the Third World who can't afford to buy. Jared Friedman's Scribd website has stolen the files which we have painstakingly produced, and he is taking money from others to read them. Some have been downloaded -- at a fee to Friedman -- thousands of times. What I found most interesting was the lack of stress from the faces of the people in the pictures before getting processed. They looked much more solemn once they were in their camp uniforms. Also it is obvious that at the time they photos were taken there was still enough food not to look undernourished. Again, nobody has ever said that life in the KZs was a bed of roses but there is no evidence in these pictures that any one was deliberately 'exterminated'. You also mention elsewhere in your documentation that holocaust denial is on the decrease. The only people who keep holocaust denial alive are the Jews themselves because it is in their interest, the rest of the world is already bored with it. Introducing holocaust studies in schools was a certain way to make the subject uninteresting to the young people. Another reader comments this morning: "The pictures themselves prove nothing. Sure, a concentration camp was not a holiday camp. Remember the British concentration camps in the last Boer war? It is only the commentary that suggest that the gassing took place but again: the pictures prove nothing." I post today's mail at the U.S. Post Office. The postmaster greets me, "Good morning, David." I guess that means he has tipped off the FBI as in 1995. They're the good guys, and I don't mind. À propos of nothing I say, "We're not doing any big mail-outs this time."